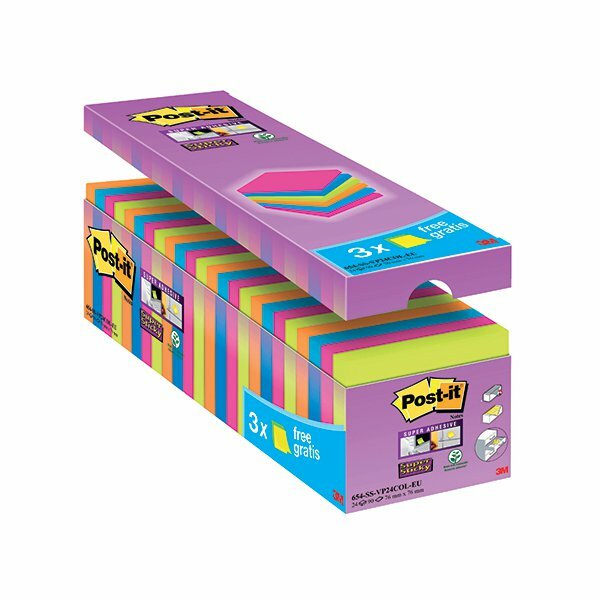 Ideal for desktop use, these repositionable Post-it Notes feature Super Sticky adhesive for a stronger, longer hold, which is perfect for important notes, messages and reminders. Each pad contains 90 sheets and measures 76 x 76mm. This assorted value pack contains 24 pads for the price of 21 in neon yellow, pink, blue and orange.